​Arsenal take on Wolves at the Emirates on Sunday in a Premier League clash in which the Gunners will be looking to build on a fine unbeaten run in all competitions. Unai Emery’s side have not lost in the Premier League since suffering defeat in each of their first two games of the season against Manchester City and Chelsea. However, Arsenal’s winning run since those defeats has now been halted with back-to-back league draws. Last Saturday’s 1-1 draw at home to ​Liverpool followed a tough trip to Selhurst Park the week before in which they were held 2-2 by ​Crystal Palace. Encouraging signs from those performances prevailed over the results for Emery’s men in those matches. ​Wolves, meanwhile, have hit a stumbling block following their excellent start to the campaign, losing each of their last three Premier League games, and Nuno Espirito Santo’s side will be looking to get their season back on track at the Emirates on Sunday. ​Arsenal will continue to be without club captain Laurent Koscielny on Sunday. The defender is back in full training with the Gunners but is being eased back into action after suffering an Achilles rupture last season and is unlikely to feature before the international break. Mohamed Elneny remains out for a further week with a thigh injury, whilst Konstantinos Mavropanos continues his rehabilitation from a long-term groin injury. Sokratis Papastathopoulos has returned to full training and is available, while Nacho Monreal is also set to return. Danny Welbeck was stretchered off during the Europa League draw with Sporting CP on Thursday and ​is in hospital being assessed after a suspected ankle break.  Arsenal head coach Unai Emery says defender Laurent Koscielny is close to returning. Meanwhile, Wolves are monitoring the fitness of Diogo Jota ahead of their trip to north London this weekend, after the winger was ruled out of last week’s defeat to ​Tottenham with an unconfirmed injury problem. Ivan Cavaleiro is set to continue in Jota’s place as he did last time out, with Nuno Espirito Santo having no further injury concerns. Arsenal have a vastly superior record in previous matches against this Sunday’s opponents, having beaten Wolves 57 times in 112 games, drawing 26 and losing 29 of the two sides' previous meetings. The most recent match between the two teams came in a Premier League clash at Molineux in 2012, in which Arsenal secured a comfortable 3-0 win, courtesy of goals from Robin van Persie, Theo Walcott and Yossi Benayoun. Wolves last took points from the Gunners earlier that same season when the two sides met at the Emirates in a 1-1 draw, in which Steven Fletcher secured the point for the visitors after cancelling out Gervinho’s opener for Arsene Wenger’s side. It has been far longer since Wolves were able to beat the Gunners, however, with their last win over Arsenal coming in a Division One clash between the sides in 1979, in which Wolves won 3-2 at Highbury. Arsenal’s strong run of form has gathered pace and a great deal of attention as Unai Emery’s side have established an unbeaten run which stretches over their last 15 games in all competitions. The Gunners have not lost since their dramatic 3-2 defeat to ​Chelsea in the second game of the season. Last weekend’s 1-1 draw with Liverpool was their second consecutive league draw, following the previous 2-2 draw away at Crystal Palace, but the nature of the Gunners’ battling qualities and control in their performance against Liverpool have come in for praise. 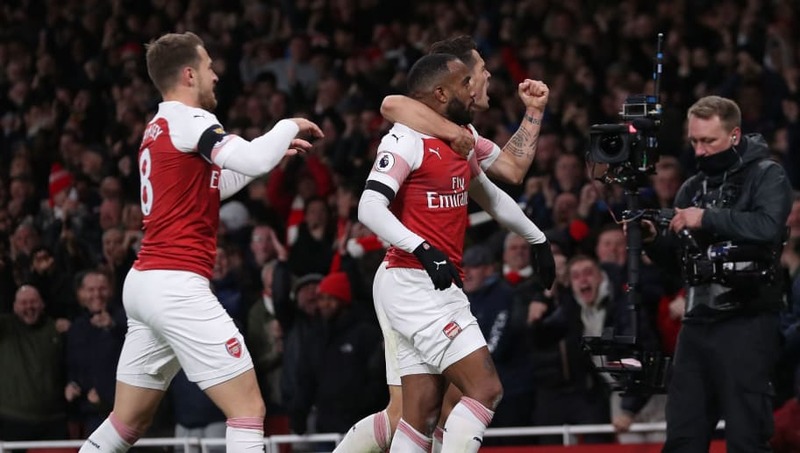 Arsenal will be looking to get back to winning ways in the Premier League against a Wolves side which have lost their last three league outings. It is a drastic dip in form for Santo’s side after a strong start to the season in which they had won four, drawn three and lost just one of their first eight league matches. Though Wolves displayed strong battling qualities to fight back from 3-0 down in pulling two goals back last weekend, Arsenal have been in dominant form at the Emirates this term, as reflected through their claiming of 61 percent possession last week against Liverpool. Not only are the Gunners controlling matches with possession, particularly at home, they are also scoring goals aplenty, with a total of 25 goals scored in their first 11 Premier League games this term. Wolves are likely to struggle with the Gunners’ pace, movement and abundance of attacking threat, particularly after being dismantled at the back by Tottenham last weekend, and Sunday’s match should see Unai Emery’s side return to winning ways in the Premier League.